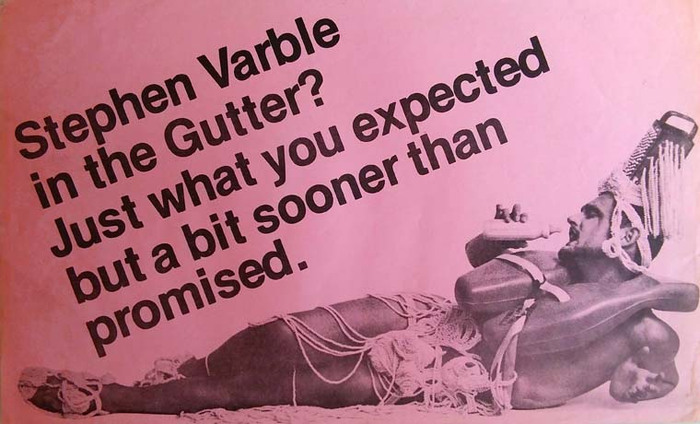 Jimmy DeSana, Stephen Varble, documentation of Gutter Art performance, November 1975. Courtesy of Fales Library & Special Collections, New York University. © Jimmy DeSana Trust. 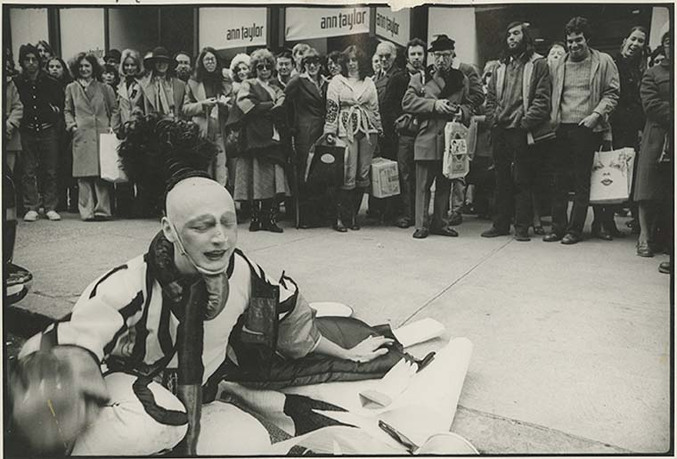 Now largely forgotten, the performance artist Stephen Varble (1946–1984) was iconic in 1970s New York for his audacious interventions that targeted sites of urban commercialism, elite consumption, and gentrification. 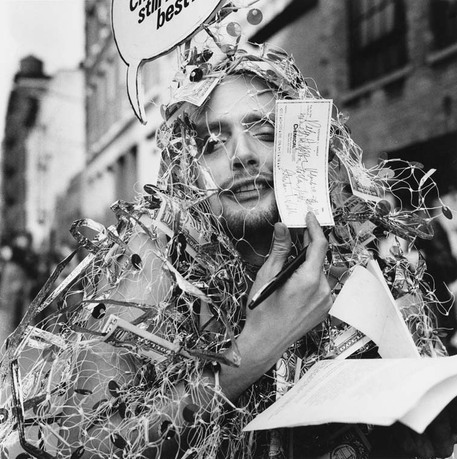 In elaborate costumes made of street trash, he led unauthorized galleries tours that disrupted rapidly gentrifying areas like SoHo and interrupted commercial activities with performances that parodied gender norms, wealth, and status. Whether spilling milk from a costume on a gallery floor, or spilling blood at a Washington Square bank, Varble's Gutter Art aggressively attacked commercialism and urban speculation at their most visible sites. From his early career in Kentucky, to his relocation to Manhattan, Varble retained an antagonism to consumerism and urban spaces of exclusion. This exhibition presents the first synthetic history of his career and charts his critical attitude towards the hierarchies of wealth and gender that were used for the control of public space. David J. Getsy is the Goldabelle McComb Finn Distinguished Professor of Art History at the School of the Art Institute of Chicago. He has published seven books, most recently Abstract Bodies: Sixties Sculpture in the Expanded Field of Gender (Yale, 2015) and the anthology of artists' writings, Queer (MIT, 2016), a 2017 Lambda Literary Awards Finalist. 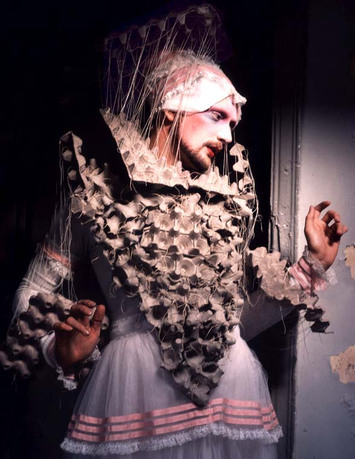 His current research engages in archive-based recoveries of suppressed histories of queer and genderqueer performance practices in the 1970s, and he is completing book manuscripts on Scott Burton and on Stephen Varble.